The Martin Yale W24 24" Wood Guillotine Stack Cutter saves time and money. 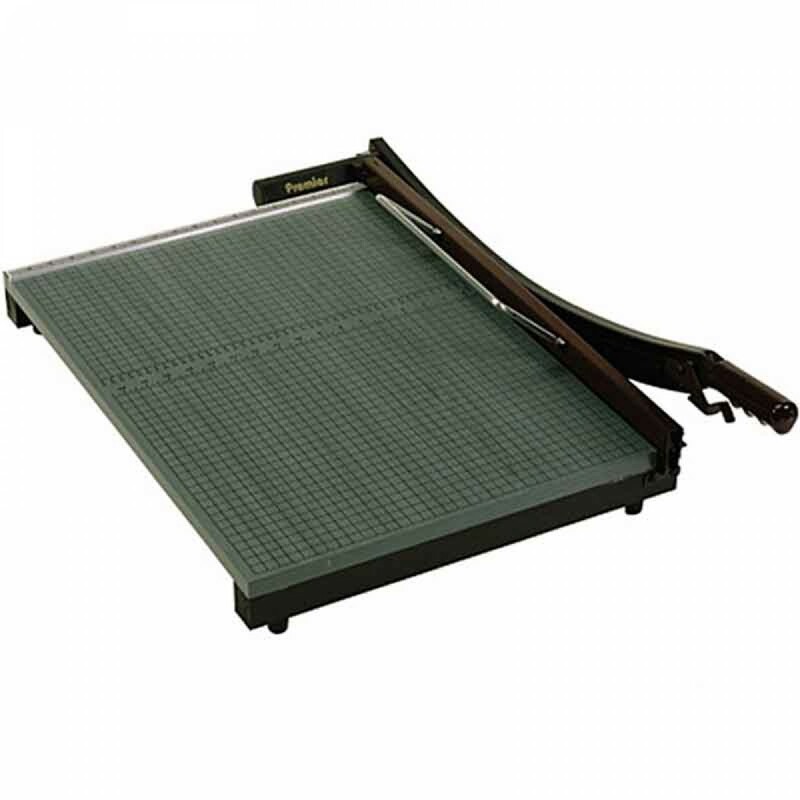 The Martin Yale W24 trimmer is a premier heavy duty wood paper trimmer. It can accurately cut paper, flyers, covers, documents, promotional materials, matte board, cardboard, film, tissue and textiles. TheW24 trimmer design includes a heavy duty 3/4" thick wood base, a permanent 1/2" grid, and dual English and metric rulers. It has a soft grip ergonomic handle for easy grip. It features a number of safety features to protect you including an automatic blade latch that locks with every cutting motion, finger guard to protect from blade, and torsion spring that prevents the blade from accidentally falling when in use. The Martin Yale W24 Premier wood paper trimmer is perfect for schools, religious establishments, and businesses.